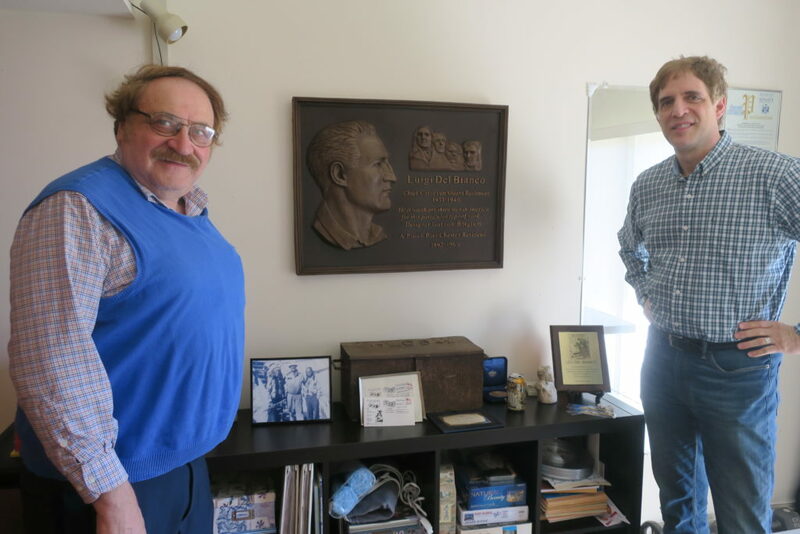 Mario Tolgia and Michael Genovese are both retired educators who love bringing to light all the unsung Italians in American History. You can imagine how they feel about Luigi Del Bianco! From the moment I met these two dedicated gentleman, I was captivated by their intellect, charm and commitment to Italian American History. Just when I thought I knew everything about my Grandpa, Mario and Michael present me all new documentation I’ve never seen before. As genealogists, historians and educators, they are so good at what they do. You can find out more about their organization, the Italian Geneological Group, by clicking here. Mario Toglia and me posing in front of some Luigi Memorabilia. Mario Toglia is a native of Brooklyn, NY and current resident of Nassau County, Long Island. He is a retired New York City public school foreign language teacher. His parents come from Calitri (province of Avellino). Mr. Toglia is the editor of three books, They Came By Ship: The Stories of the Calitrani Immigrants in America; Preserving Our History and Celebrating The Heritage – which seek to retain the history of immigrants from that Southern Apennine mountain town.. He has been invited to present the history of the Calitrani at various Italian American events and strongly encourages the audience to become involved in the discovery of the facts relating to their family’s immigrant history. He is head of a book project with IGG that is currently collecting Italian immigrant family stories to preserve for future generations. Michael has taught secondary school at Holy Cross High School for 44 years. This includes initiating a School-based service learning program that integrates all academic subjects answering the unmet needs of various church and civic organizations in Queens and Nassau County. He also taught an elective course on NYC history, coached handball & football at Holy Cross for 25 years and created a curriculum and city tours for NYC history on a secondary level. Michael has researched and written materials on NYC history. He served on NYC Mayor’s Voluntary Action Council as chairperson of the task force on student volunteers under the Koch & Dinkins administrations. Michael has also served on NYS Governor’s Office of Voluntarism under Governor Mario Cuomo. 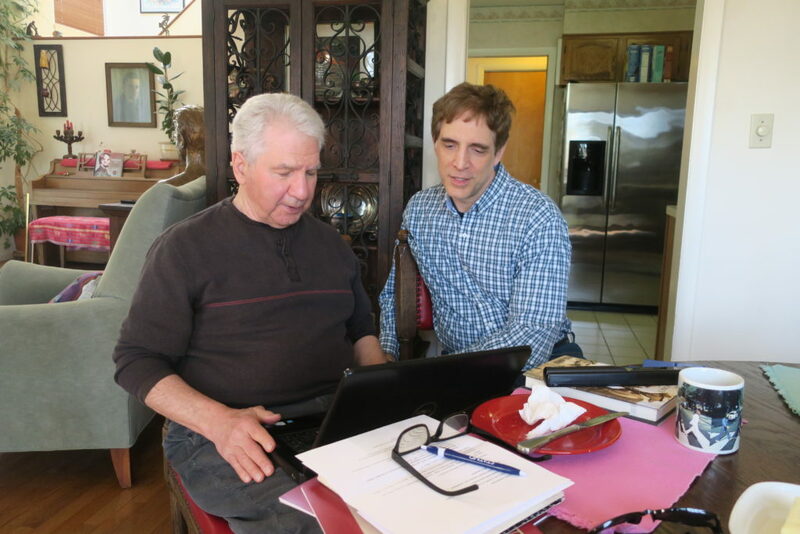 Over the years, Michael has given many presentations and published articles on various aspects of Italian genealogy. He has served as president and is currently membership chairperson and special projects person on the Italian Genealogical Group of Long Island for 15 years. Michael is the current President of the Walter Kaner Children’s Foundation serving children with special needs. He current’t serves in the Driver Education Administration at Holy Cross High School. Michael volunteers for the Hance Foundation & the Beautiful Me Program and current is a historian & archivist for local Church and civic organizations.